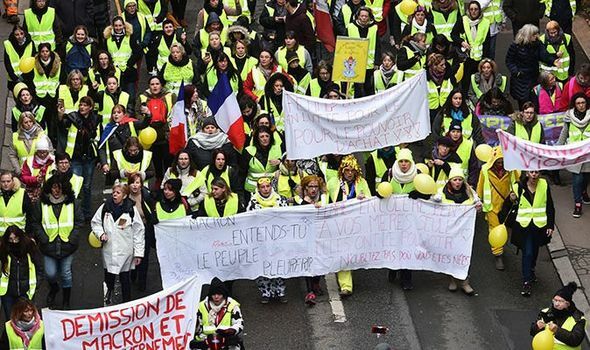 In November 2018, a true grassroots movement began in France, where each weekend since November 17, 2018, mass demonstrations were held with people wearing Yellow Vests, which was chosen as a symbol because by law all French motorists to have the high-visibility vests in their vehicles when driving. The protesters had a variety of grievances with the government, but it all comes down to the working class are protesting the global elite. As Glenn Reynolds describes it over at USA Today, "It’s not the kind of class struggle that Karl Marx wrote about, with workers and peasants facing off against rapacious capitalists, but it is a case of today’s ruling class facing disaffection from its working class." The Yellow Vest protests rapidly started spreading across Europe, with other issues cited, dependent on the country in question, but there is no doubt it is a populist movement opposing globalist policies. In France, according to Breitbart, there have been over 4,500 arrests to date, as protesters have destroyed over 60 percent of France's speed cameras, blocked roads and fuel depots, and violently rioted across the country. Despite the disruptions, the latest polling of the French people show overwhelming support for the protests against their globalist elitist leaders, from populists on both the left and the right. The results, released by polling firm Elabe, show a rebound in support for the movement, from 60 percent to 67 percent, following another nation-wide protest over the weekend, compared to 13 percent moderately opposed to the movement and 12 percent overtly hostile to it. When broken down by political affiliation, the largest backers of the Yellow Vests remain the supporters of the populist parties on both the right and the left. 81 percent of supporters of Marine Le Pen’s National Rally said they were behind the movement and 88 percent of the supporters of the far-left Unsubmissive France party, led by Jean-Luc Mélenchon, backed the Yellow Vests. 54 percent of French added that they wanted the weekly protests to continue. It appears that to a majority of French, it is no longer Viva La France, but rather now Viva La Yellow Vests!! On Saturday, January 12, 2019, the founder of We Are Change, Luke Rudkowski, posted a 37 second video of the protest on Twitter, with the statement "Many are saying that the #YellowVests had their largest showing yet. This as the gov just tried to again repress them w/ tougher laws on unauthorized protests, which clearly didn't work. Expect more images like this to come out of France and soon the world." In response, conservative actor James Woods highlighted how disinterested the U.S. media seems to be in this movement, which some political pundits have called the "new revolution," in France. Woods stated "This is not receiving extensive coverage on mainstream “news” outlets in the United States. This is understandable, since the #FakeNews organs, like #CNN, are really just cheerleaders for globalists like Obama, Trudeau, Merkel, and Macron." He isn't wrong. While the U.S. media is touching on the story, they are downplaying the popularity of the movement among the French people, and spending far less time on these weekend demonstrations that are have now occurred for nine weeks. Not only are they downplaying it, but their headlines are distinctly negative, such as NYT which titled their piece on Tuesday with "Macron Hopes Talk Will Calm France, but an Air of Menace Prevails." Air of menace..... hmmmm.... against global elitist such as Macron perhaps, but apparently the people of France agree with menacing the cowardly globalist, since 54 percent of them want the protests to continue until changes are made. Look at Washington Post's headline in mid-December: "The ‘yellow vests’ are tainting France’s revolutionary tradition." CNN focuses on the 60 percent of the speed camera that were "vandalized," and on and on the globalists puppets in the U.S. media go, ignoring the underlying anger over what globalists have done in Europe and the devastation it has wrought for the working class, which is why the Yellow Vests are protesting so loudly and angrily. It is not only the MSM that is attempting to control the narrative and coverage of the Yellow Vest protests, as is explained below by Luke Rudkowski, where his coverage of protests in France are being demonetized by YouTube, put under review, and even those with millions of views are being hidden when searched for. He addresses that within the first two minutes. While we at ANP never encourage offensive violence while always standing by the right to defend if necessary, we can also understand the anger at the globalist leaders in Europe by the people, as we see right here in America how Democrats ,liberals, and their media cohorts, are trying to turn America into Europe, pushing communist policies, socialist agendas and globalist ideology and open borders. 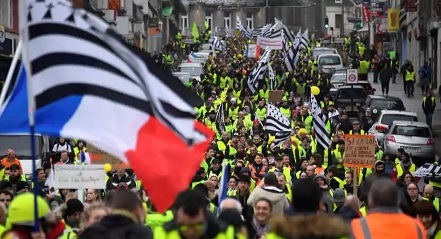 Maybe it is time to start turning the color yellow into a message to the global elite, in solidarity with the French people and those across Europe that are standing up to them. 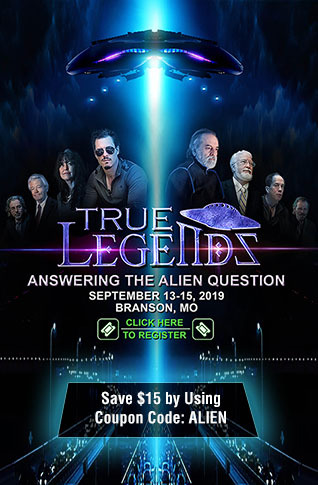 Yellow Vests, shirts, or since it is Winter, sweaters, or hoodies, or just some warm gloves. Takes pictures and send them on over to us, we will save them up and use them (only with your permission of course) in a follow up article, showing that Americans are just as sick and tired of the globalist agenda being shoved down our throats, as those in Europe are.